You can find grapefruit at either end of the enjoyment spectrum. For some, it might as well be the same as biting into a lemon – bitter and quick to bite back. Then you have those people who slice a grapefruit in half and grab a spoon and start going to town. No matter where you stand on the grapefruit spectrum, you have to admit it’s a pretty interesting fruit. Let’s check out a little more about this bombshell fruits’ hidden resume. water than just about any other fruit on the market – coming in at 92% water! Because of this, you can imagine what a great snack grapefruit is to incorporate into your overall diet, but even more so if you are looking to drop a few pounds. We found this quite valuable, and hopefully, you will too – the inner coloring of the flesh of the fruit is very telling. Although all the varieties of colors are nutritious to some extent and remain in the same water range, the more red and pink colored flesh is known to carry more nutrients, as they have higher antioxidants. From the powerful antioxidants to kick off potential illnesses, to help reduce fevers and fatigue, to promote sleep and help control diabetes – grapefruit has many positive characteristics. 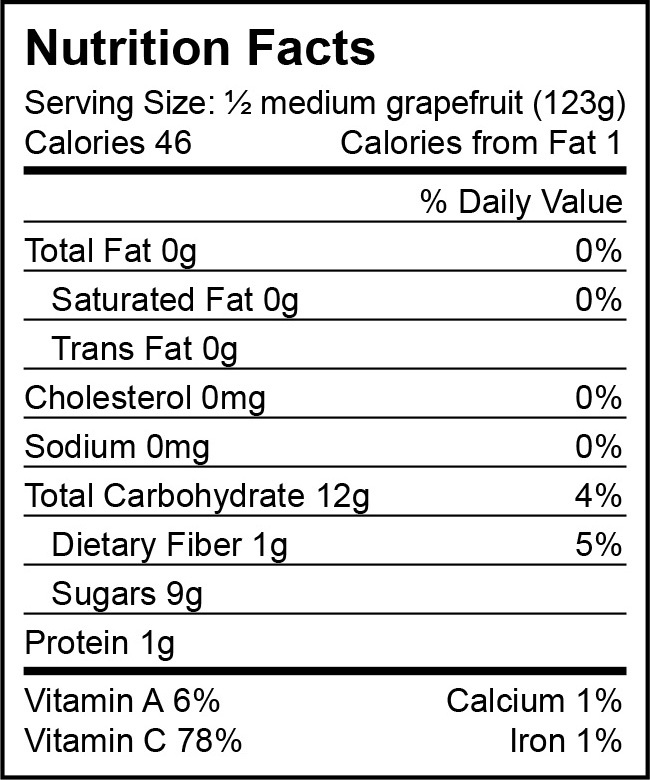 We’ve established a lot of good when it comes to consuming grapefruit, no doubt. 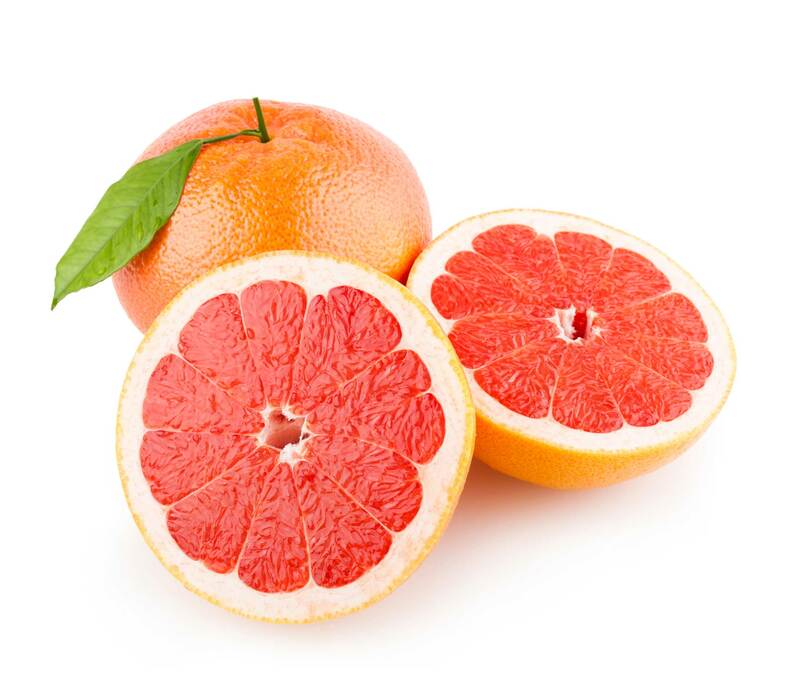 Here comes the interesting part – you may have been told by your doctor at some point in your life to not consume grapefruit while on a certain medication. Why is this? This particular fruit has the enzyme, CYP3A4, which is an enzyme known for breaking down essential medications in the body. Specifically, this lies within the juice, and can actually be considered dangerous when combined with certain antidepressants, among many other common medications. It can be dangerous to the point when mixed with certain compounds in medications; it can cause damage to vital organs. Who knew such risk could come with such a pleasant and appealing fruit? It’s not often you hear so many warnings when it comes to such a healthy commodity. But the risk factors associated with grapefruit should be more commonly known, and we have no problem aiding in that knowledge. It is essential to consult your doctor when assigned new medications if there is anything you should stay away from in the food and health department. If your doctor knows his stuff, he will likely tell you before you need to ask, depending on the medication you are being prescribed. Some people love to enjoy grapefruit ice cold, but it has more flavor at room temperature. If you plan to keep the grapefruit for a few weeks, feel free to refrigerate them, but if you are going to incorporate them within a week or so, it’s best to leave them sitting out and adjust to the room temperature. All in all, everything in life comes with limitations and cautionary advice. Most of the time, we have to take a lot of what we hear with a grain of salt, but when discussing vital foods and medicine, taking a more literal approach is probably best. The most common way we often see people consume grapefruit is either raw or juiced. Some replace their dessert with grapefruit because it satisfies so many cravings along with aiding in weight loss. Another way to consider eating grapefruit is in a salad, just as you would put orange slices to add color; you can do the same with grapefruit to add a bite to a sweet dressing. It can be incorporated in many different smoothies, as well as used to top of oatmeal or a fruit and yogurt parfait. The options are endless, and fun to play with! Now that you have a little more knowledge about this ruby beauty under your belt, have at it!